One of the excellent things about Internet of Things (IoT) is its capability of solving the most common issues that we have around us and one of them is traffic. And the reason I would like to discuss the potentiality of IoT in optimizing the traffic is because today’s world population and the too many number of vehicles that exist around the globe. This problem even increases when most of the world’s population starts to live urban areas. According to a study, by the year 2030, nearly 60 percent of the global population will live in urban cities. No matter what city you are living in, you will always face traffic problems around the clock. And this issue becomes even worse when the city’s population and the cars they own increase. Moreover, every country’s city transportation system is getting worse and worse and hence it would be really difficult to think how this issue can be resolved without getting assistance from smarter technology. The utility of the smart technology like IoT is slowly shifting from mobile apps that enhance quality of life to solving common issues that people face in their day-to-day lives. Now, let’s see how deep IoT can go to solve the most common complex issue of today’s global population- Traffic congestion. First, let’s see how the growth of IoT is rapidly increasing in our environment. Normal virtual assistants like Siri and Alexa for news and data information, cities are turning to smart devices to gather useful data and insights of various constituents essential to effectively serving the needs and requirements of citizens. This sort of low-cost sensors enable effective and efficient ways to monitor and control traffic utilizing real-time information. The latest developments in machine learning are offering city officials better insights about issues that are facing by urban people and metadata produced by such cutting-edge technologies allow concerned officials to make much more instant and organized decisions. Smarter cities are trying to adapt these smart technologies and integrate in traffic systems where cars communicate with each other, making the journey from point A to point B safe and secure. In addition, the recent advancements in cloud and edge data centers have significantly reduced the price of data storage, at the same time, making the data instantly available for research and analysis. 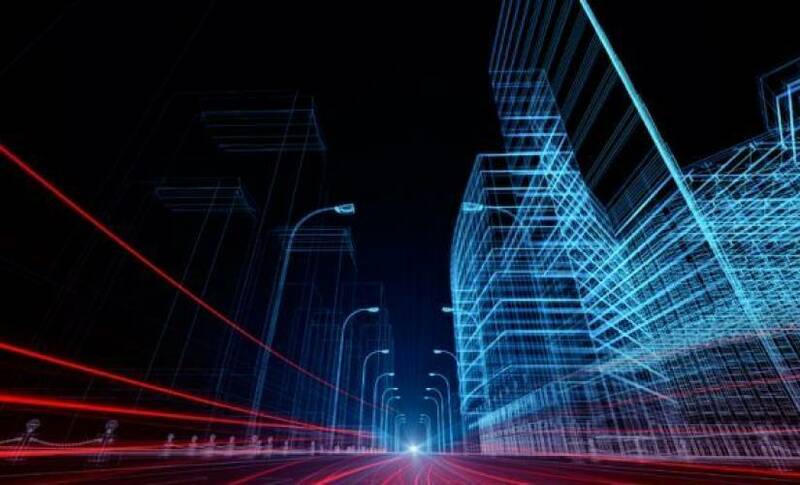 Big data revolution is changing the way how cities run. Here, the basic idea is about connecting “Things” together so that the city’s traffic can get better and efficient. For instance, by connecting cars’ GPS with traffic cameras, the city’s officials can have a better insight and understanding of how to control and manage traffic efficiently. Also, to make it more productive, an SMS can be sent to vehicles’ owners/drivers to warn them about traffic congestion in the route they are heading and help them take another route. The end result will be a better and efficient traffic experience, a significant reduction in the traffic congestion and a safer and secure transportation system. Internet of Things plays an essential part in this scenario by gathering data from numerous channels like traffic cameras, cars’ GPS, sensors, etc. Such sort of information can be utilized to analyze and understand the traffic patterns and ultimately let us find innovative ways to simplify the most oftenly taken roads and transportation methods. Not just that, connected sensors and detectors can identify dangerous conditions and assistance will be then sent to act instantly. Vehicle drivers will also be notified about such situations to avoid and hence reducing the number of road accidents for a better safety of other commuters. Solutions that can be implemented to optimize traffic flow and improve the efficiency of the entire traffic and transportation system. Merging traffic information that is gathered from various channels like traffic lights, cameras, variable message signs (VMSs), telematics, and other sources. All these information sources are collected, normalized, and changed into a static traffic data model. Analyzing data information to offer better and real-time insights about traffic flows, performance, conditions, etc. will assist in optimizing and simplifying the traffic congestion. Correlation with historical data can be run to offer city officials a better insight into the traffic environment. This will help them to instantly set traffic signals or suggest alternative routes that can really help in reducing the traffic congestion. Also, it will commuters better plan their destination paths and travel times. keeping an eye on traffic operations via a centralized management dashboard which gathers data from various geographic areas across the city will help to reduce the traffic congestion in a much better way. This data can be seen on a geospatial map displaying the normal traffic flow and heavy traffic areas to help officials and operators control traffic performance and further simplify their response to various situations. City’s transportation system must support the storage and the presentation of GIS (Geographic information system) information for robust and stringent graphical displays in the management system to see things such as traffic volume, density, speed, traffic accidents, etc. In addition, it can show icons for devices which are present over the city like traffic lights, cameras, and other traffic control devices to see their precise data. IoT is already assisting and making our lives better in many ways than we expected. And this is just inception. The real power of IoT in ensuring safe driving is yet to be unleashed as vehicles step towards becoming fully automated and start interacting with things around to make decisions on their own. This can unlock new potentialities and opportunities such as warning drivers from entering into the traffic areas or avoiding collisions. There are various other scenarios where the true potential of IoT and machine learning blend to create new opportunities. Yet we still have a very long way to go to achieve this.